DC BOOKDIVA: Tell us a little bit about your current novel, LONDON REIGN. A.C. BRITT: LONDON REIGN takes the reader through the emotional journey of London Walters: a sixteen-year-old “AG” (aggressor) who finds herself displaced from home by her own family—after suffering years of abuse from an alcoholic father. To most, London presents as a teenage boy from “around the way”. The father, embarrassed by his daughter’s extreme androgyny, presents his wife with an ultimatum, threatening to leave if she doesn’t tell London to leave their home immediately. When London is asked to leave, she boards the first train leaving Boston and ends up in Detroit. Although destine to start a new life and stray from the deceit of her physical appearance, London finds herself once again in multiple situations, where it’s the assumption that she’s male. A whirlwind of revenge by any means necessary erupts when London’s secret is revealed. Once again, London finds herself fighting for survival, and the desperate need for understanding. DC BOOKDIVA: What sparked the idea? How long did it take you to write it? A.C. BRITT: The initial manuscript was penned in a week. I was home from college on spring break, unable to participate in the vacation routines of my peers. 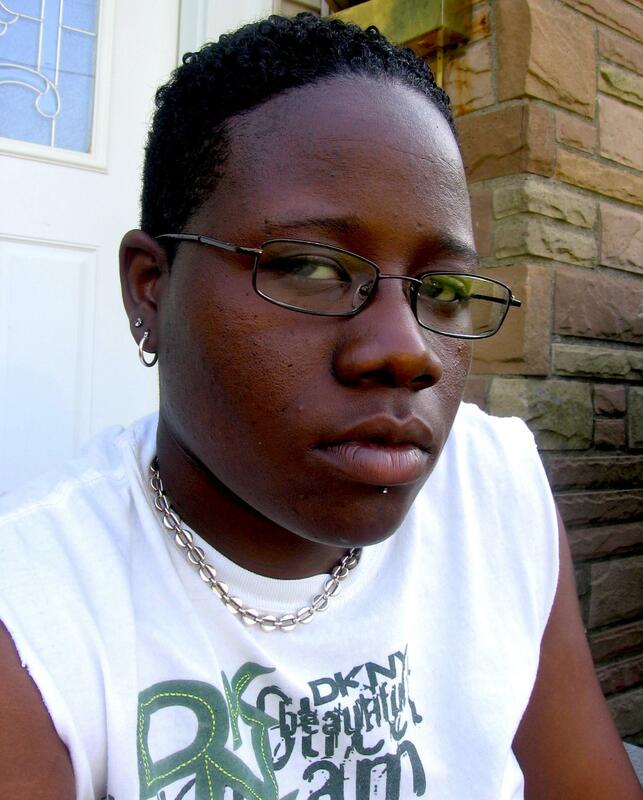 At the time I was still trying to “find myself”, and many of my peers who identify as aggressive lesbian also fell into stereotypical roles. It seemed at the time that many felt that in order to be true to their own identity, they needed to dress and act like a man, in order to show their dominance. I found myself questioning the gender of some individuals quickly learning the difference between androgyny, transgender identity, and overall “AG” identity. As time went on, I eventually moved back to Massachusetts and found that this type of physical presentation was apparently evident across the nation, especially within the youth of the GLBT community. As a volunteer at a GLBT youth community center, the teens would tell me similar stories about enjoying the fact that people thought that they were males and would even go as far as stuffing their pants to resemble male genitalia. Their stories were compelling and inspired me to expose, modify, and elaborate on what some might call a subculture. I decided to include that abusive storyline, because again, many teens that I volunteered with were residing in shelters or entering Social Services, because their parents either kicked them out, or made life within the home too difficult to bare, due to their own sexual and gender identity. DC BOOKDIVA: What kind of feedback are you getting? A.C. BRITT: I've received mostly positive feedback regarding this project. Many readers are glad that I addressed such controversial topics such as physical and sexual abuse, alcoholism, gender/sexual identity and overall family dysfunction. Readers have expressed that LONDON REIGN kept them captivated and wanting more, causing many to read it in one sitting. I have come across some individuals who have questioned my religious and moral beliefs, as a result of my own openness with my sexuality, and the sexuality of the characters involved. All feedback is welcome and appreciated. All individuals are entitled to their own opinions. DC BOOKDIVA: What can readers expect from you in the future? Are you working on anything now? A.C. BRITT: I do have several works in progress, but readers can expect me to continue to address the important issues that society does not necessarily want to address or even recognize. It’s important that literature that depicts the lives of the GLBT community becomes mainstream. Society’s perception of the GLBT community still revolves around drugs, promiscuity, and the inability to commit, when in reality the GLBT community often comes from the same morals and ideas that heterosexual individuals live by. Readers can expect the release of PARIS SKY, and LONDON REIGN 2 in the future. DC BOOKDIVA: Is there anything additional you would like to share with your readers? A.C. BRITT: I just encourage everyone to spread the word about LONDON REIGN, A.C. BRITT, and THE GHETTOHEAT® MOVEMENT as a whole. 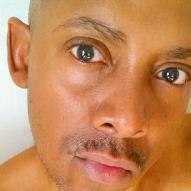 A.C. BRITT, AUTHOR OF LONDON REIGN: A GHETTOHEAT® PRODUCTION! 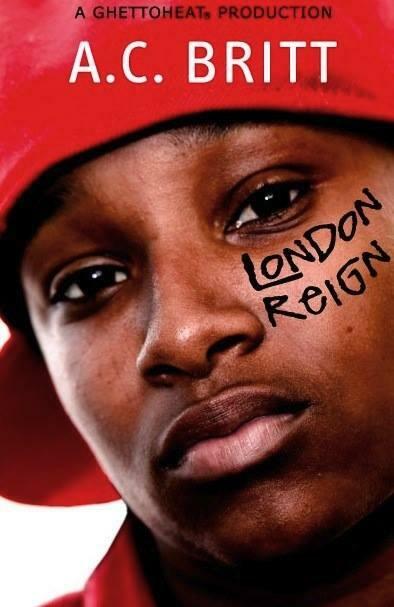 LONDON REIGN: A GHETTOHEAT® PRODUCTION!